Dealer Marketing Magazine is dedicated to providing auto dealers nationwide with a relevant one-stop resource for their own advertising, marketing, sales, education, and business development needs. Every month, Dealer Marketing Magazine is mailed to over 17,000 U.S. auto dealers and other industry-affiliated professionals. Dealer Marketing Magazine, however, is not a news magazine—it is a business success magazine. Auto dealers will not find up-to-the-minute information on manufacturer news, personnel promotions, and other news events. Our expert columnists educate dealers on how to create a direct mail campaign, how to design lead-generating websites, how to train service advisors, and how to increase F&I profits. 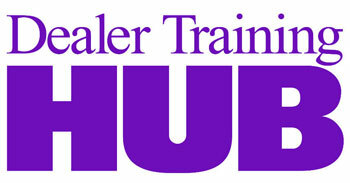 Dealer Marketing Magazine is a business tool designed to give dealers an edge over their competition. Every issue of Dealer Marketing Magazine addresses the real-world needs of today’s automotive dealership, offering innovative advice from industry experts, vendor profiles and other practical content that auto dealers can use in their day-to-day operations. Dealer Marketing Magazine can help you more effectively target and reach your potential customers with your product or service. 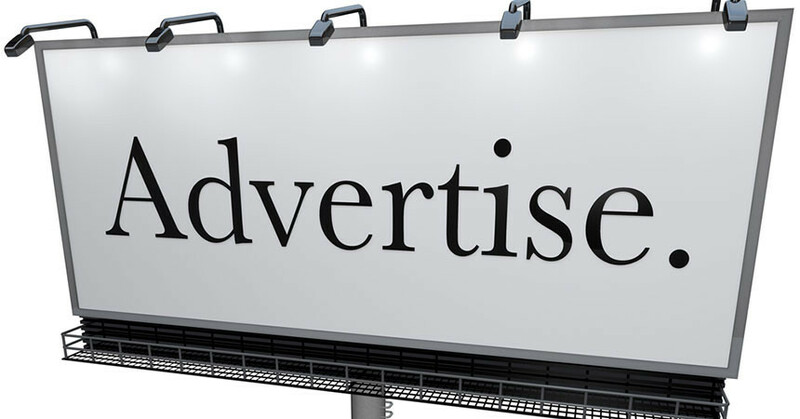 In fact, our advertising rates are some of the most cost-effective in the industry. We do not accept QuarkXpress or PageMaker files. Please create PDF or EPS file from layout file so fonts and graphics are embedded or converted to paths. Smallest type size allowable is 7 point. Images must be 300 dpi. * FTP: email info@dealermarketing.com or call 888-385-7526 for FTP upload instructions. Images should be at least 300 dpi. Include fonts with Illustrator. Linked images should be embedded. Call for information on uploading large files to FTP site. Thank you for your interest in Dealer Marketing Magazine. 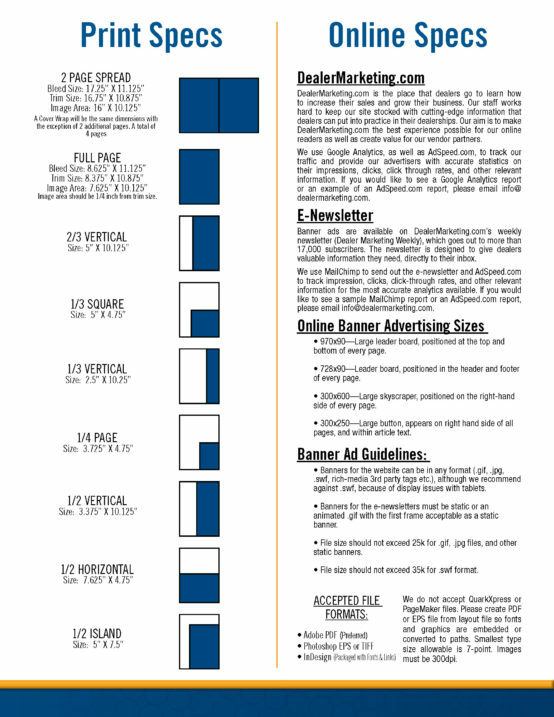 Ad prices can be found on page 7 of the 2016 Media Kit, viewable here: http://www.dealermarketing.com/2016-media-kit/index.html, or by calling Cameron Healey at (888) 385-7526.